It can conjugate verbs and inflect nouns and adjectives, tell you what words are plurals or not, etc. Deploy a MongoDB replica set on AWS in minutes. 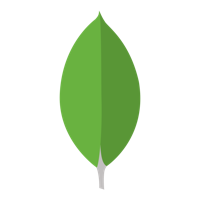 If the last thing you're looking for is another MongoDB cluster to manage, try MongoDB Atlas (the hosted database service from the company who builds MongoDB) for automated provisioning, backups, upgrades, and monitoring. Intended to be used to run multiple npm commands within the same terminal. A look at a few Node debugging options: the pino module, the built-in debugger, the V8 inspector and Visual Studio Code. Define properties of some code, then TestCheck sees if they remain true for a large number of randomly generated inputs. Takes quite an architecture-led approach and introduces REST well, before moving into Oracle-leaning examples. 48 minutes. npm 5 is almost here, but this improves the 4.6 line. React eschews the traditional MVC architecture, a counter-intuitive approach Brian explains along with JSX, React best practices, and the React component lifecycle. Rollbar detects and alerts you via Slack, HipChat when code breaks. Get stack trace and user data to help you catch errors. Unifies the existing Electron build tools into a simpler, easy to use package. Include directives in your format string to add color. Lets you build up complex assertions with conditions and various levels of strictness. Expedite your job search. Save time and effort. Get Hired!